Place 13 x 17 inch rectangles right sides together. Sew the two pieces together around the three sides leaving the top open. Turn the top edge over 1 inch and hem in place. Set aside. To make straps, place each piece of 3 x 26 inch material in half with right sides together. Stitch along sides. Turn right sides out. Pin straps to each piece of 13 x 17 inch material 4 inches from the edge. Stitch over straps back-stitching to secure. 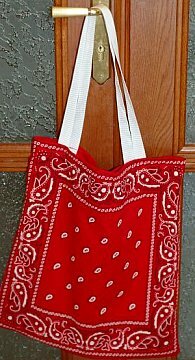 Another fun variation of this sew tote bag instructions. 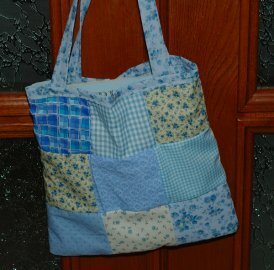 This is a easy hand sewn book bag to hold some of your books it also makes for great gifts. 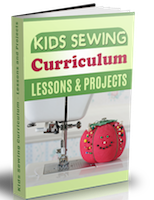 First you need to pick out your own sewing fabric, you also have to pick the measurements you want your book bag to be but make sure you make your bag a inch bigger for the inside. I did my book bag ten inches high and 12 inches wide. 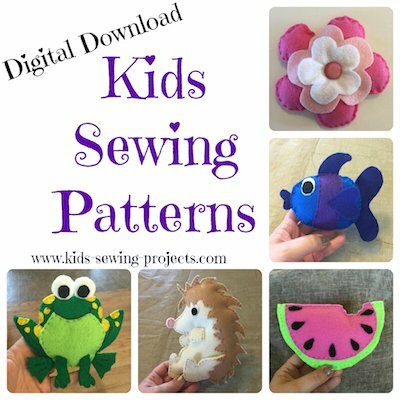 Turn your pieces of fabric inside out and sew neat even stitches. After you have sewn all three sides you'll need fold the top of the bag and sew it so you won't have fringes on both sides. Next you'll need to measure the handles to your book bag,and again you'll need to add a extra inch to the handles. I made my handles 22 inches long. 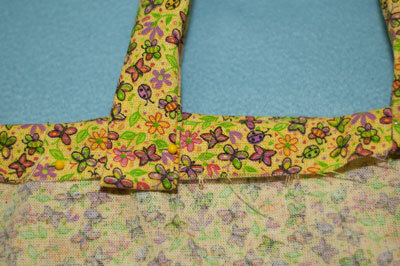 Then you will need to fold on side of the handle and sew it and do the same with the other strap. After you finish sew them on to the bag. 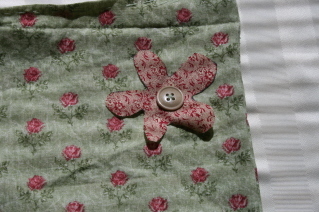 For the Flower you will need a big button and a small piece of different colored fabric. Use a fabric marker (Or a regular marker.) if it bleeds through the fabric just cut the inside of the flower. Next choose the spot you want the flower located and sew it on with the button. And now you have a book bag to put your books in. 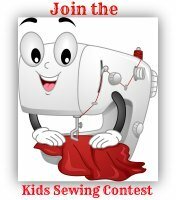 You can sew your own tote bag in various sizes. Experiment if you would like a different size. 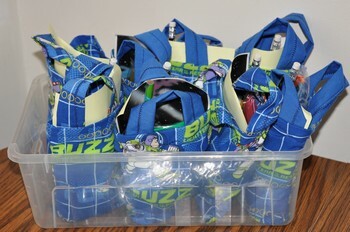 A smaller size bag makes a great goodie bag for a party. 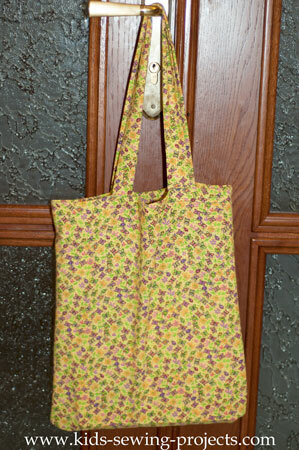 Patchwork Tote Bag- Use your fabric scraps to create a tote bag. 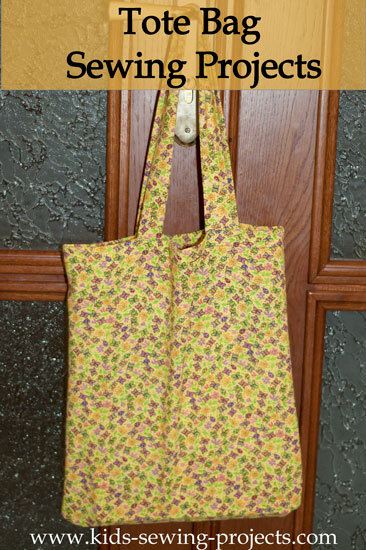 Back to Level 3 sewing projects from Sew Tote Bag Instructions.